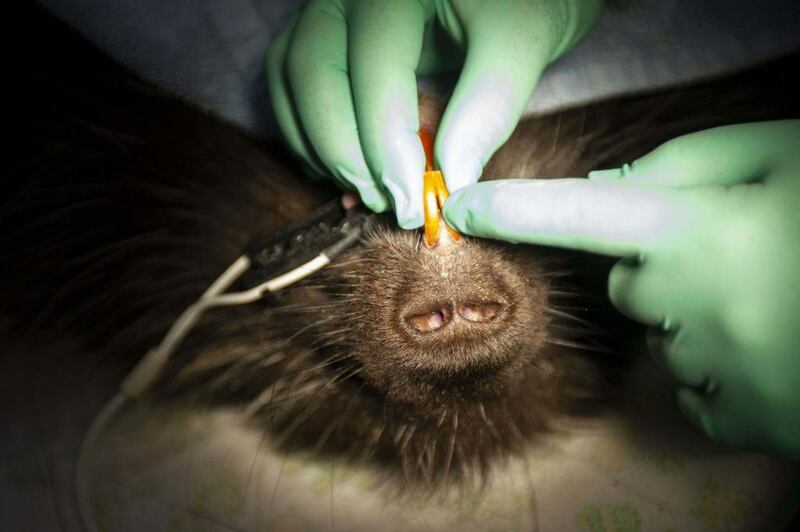 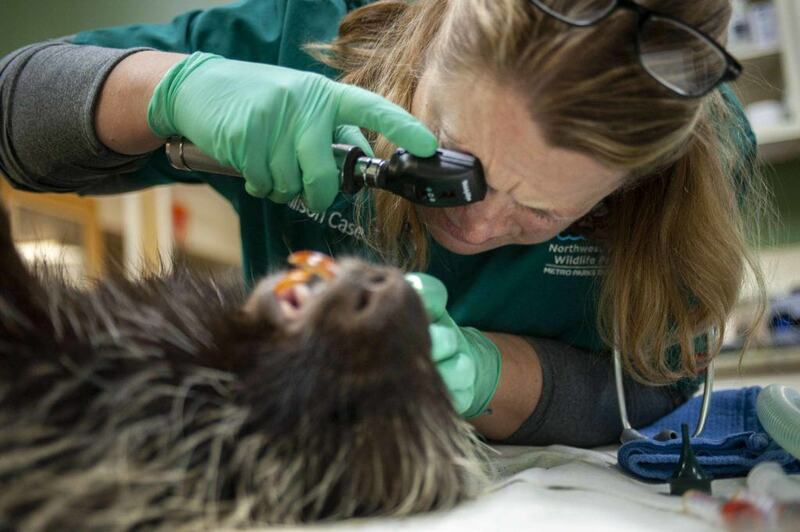 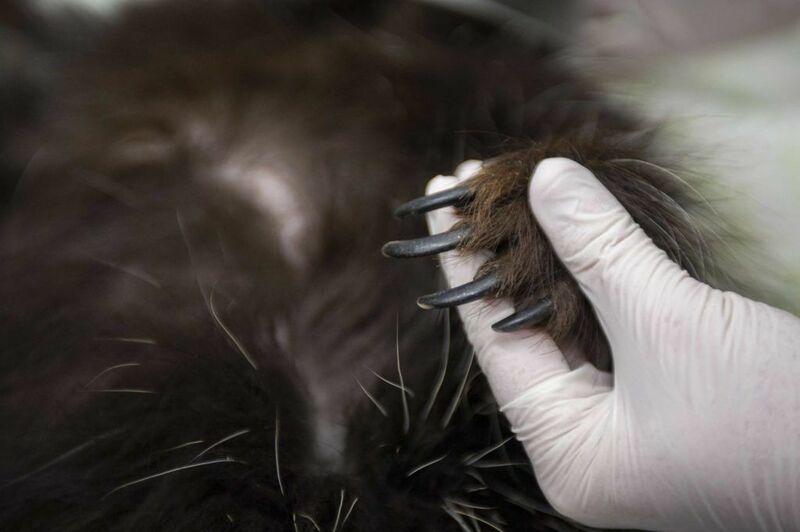 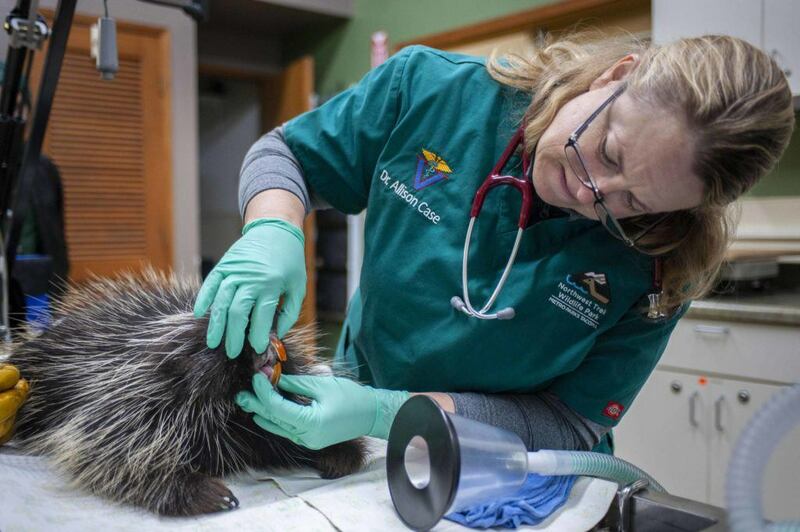 Giving a porcupine a physical exam can get a bit prickly – but our stellar veterinary team managed it easily! 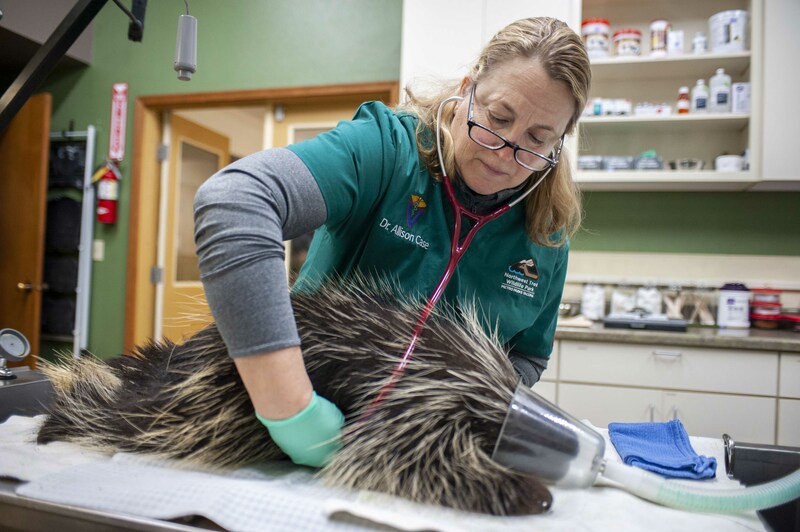 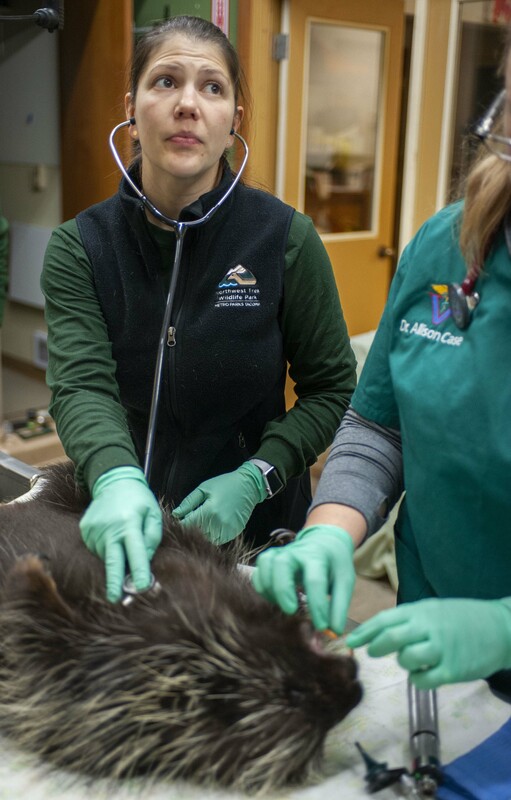 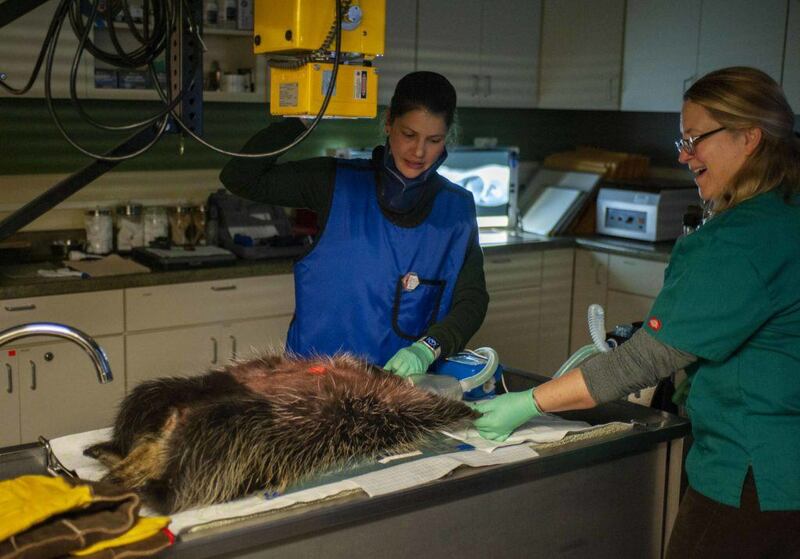 Head veterinarian Dr. Allison Case and veterinary technician Sara Dunleavy gave Thistle the porcupine his annual wellness exam recently, including ear, nose, eye and mouth checks, vital signs, palpation, blood tests and more, giving Thistle a clean bill of health. 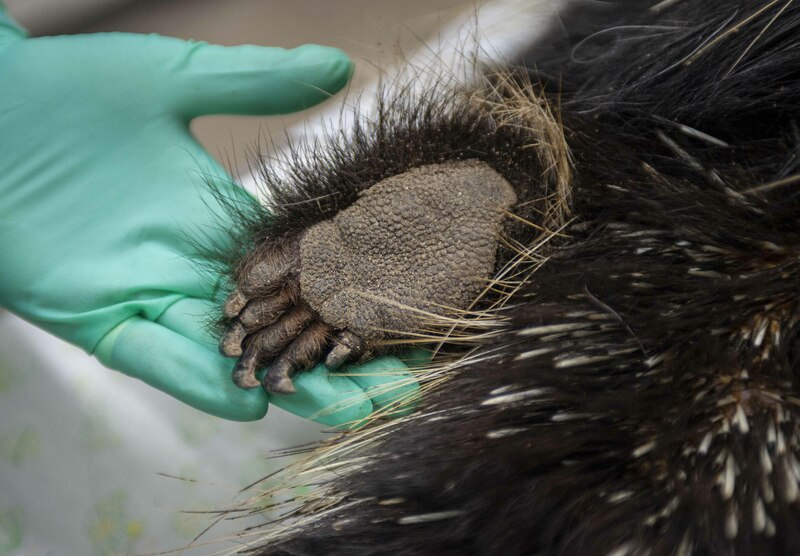 Here are the photos (click to expand).